I had the pleasure of interviewing Jailen Bates. Jailen is originally from Indianapolis, Indiana. He started out doing community theatre at the age of four when his family moved to Northern California. In 2015, at the age of 9, Jailen became a series regular in the Nickelodeon show WITS Academy. In 2016 he went on to become a series regular in OMG! for Dreamworkstv. 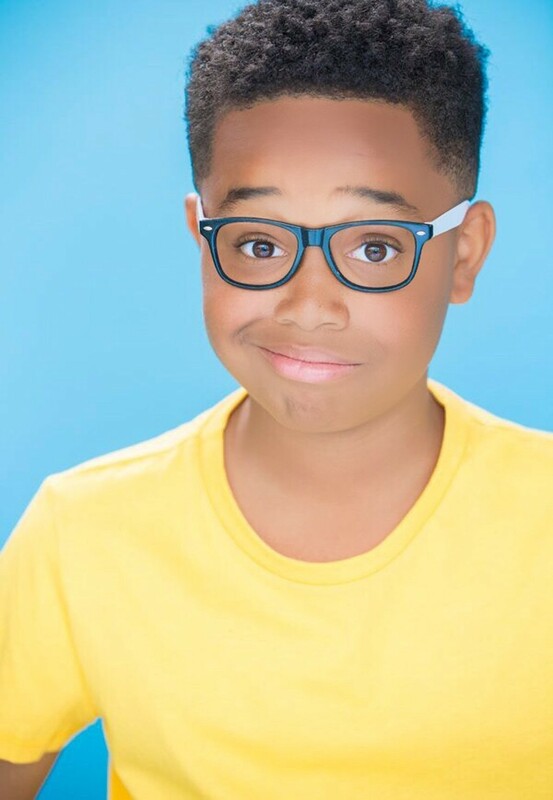 Jailen has made several guest star and co-star appearances on television shows like ABC’s Dr. Ken, Disney XD’s Walk The Prank, and Tvland’s Teachers. I am originally from Indiana and moved to the San Francisco Bay Area when I was four and that’s really where it all started for me. My dad and I were walking down the street and I saw a flier for auditions for a play at a local theater and I said dad I want to be in that play. Little did I know it would lead to this. One of the most interesting moments in my acting career was I originally auditioned for the CBS show Superior Donuts a month before I got the part. They cast the roll and then decided to go in another direction so they circled back around to me. Goes to show you never give up! When I first started out I memorized a whole script. When the other actor was saying his lines I would be mimicking his lines. I learned to keep the lines in my head! I’m currently working on my Youtube show called DJ MIXTIPS along with Andrew Ortega. It’s a fun show where we do different science experiments and discuss trending topics. I recently worked on a pilot with Kamil McFadden called Real Kids of Hollywood. I’ve also been on a lot of auditions. I worked on Superior Donuts with some iconic and awesome people like Katie Sagal, Judd Hirsch, and Jermaine Fowler. It was really incredible to be able to work with these iconic people. I remember when I was on set they were always so inclusive and overall just a great group of people. I also had the opportunity last Christmas to host Gwen Stefani’s Christmas Special. She was awesome! I would say to never give up because you will get a lot of rejection in this business, but if you want it bad enough you’ll keep going until you get something. At times you’ll be auditioning more than you will be working, so make sure to train and and continue to develop your talent and have fun! A movement I would start would improve education for the youth. I know there is already movement for this but I would love to expand this because I feel very strongly about how a lot of children are not getting the education they need. Some don’t even go to school. There’s a lot of rejection. I wish I would have known this because it would have saved me a lot of heartbreak and tears . One story is I had just tested for a TV show and I just found out that I didn’t get it. I probably could have been more prepared. It can be overwhelming. One time I had so many auditions and scripts to memorize I literally broke down into tears. I had to come up with a better way to manage my time. There’s a lot of competition. There can be a lot of people you know and friends at auditions so I like to make sure that I’m still friends with all of them. If I had known this I would have been better prepared for friendly competition. Training is key. I started training in San Francisco. I didn’t know the importance of it until I moved to LA and my agent recommended it to sharpen my skills. “Avail” does not mean you’ve gotten the part. When I first started I was on “avail” for an ABC TV show and I thought I had gotten the part but was released from the “avail” a couple days later. Don’t count on anything until it wraps! “There is more ahead of you than behind you”. It makes me realize that when I don’t get a part that’s just one thing and there is so much more out there. My parents have been so supportive. There was this one time where I had found out that I didn’t get the part and my mom and dad started telling me jokes and my mood just brightened up and I really thank them for that. It would be cool to have a private lunch or breakfast with Adam Sandler. He is my favorite comedic actor. My favorite movies are Grownups 1 and 2. I have a feeling I wouldn’t be able to stop laughing at that lunch or breakfast.